Description: After spending the last few years on ESPN, the Drone Racing Leaguehas a new home. The DRL announced Tuesday that it will be airing on NBC for the upcoming season. This comes after the upstart league spent the first three seasons broadcasting races on ESPN. In addition to the switch to NBC, the DRL also announced that races will be streamed live on Twitter. Other sports leagues, such as the National Football League and Major League Soccer, have led the way for live streaming on Twitter. Drone Racing League CEO Nicholas Horbaczewski said the digital broadcasts on Twitter will include additional content not seen on the NBC broadcast. “We heard a lot of feedback from fans over the last three years that people wanted to be able to consume the content on digital platforms they’re using and on all the different devices they’re consuming content on," Horbaczewski said, "so this really is a way for us to give fans what they want and expand the reach of the league.” As far as the switch to NBC, Horbaczewski notes the network has a rich history of broadcasting other racing like NASCAR and IndyCar and believes the DRL is a great fit. The league will produce content for both NBC and the NBC Sports Network. “We’re very excited to be partnering with NBC. I think the reality is they really are the home of motorsports in the U.S.," he said. "We see a lot of crossover fans from motorsports to DRL, so it makes a lot of sense for us to be partnering with them. They’ve also been very forward-looking with how they think about building audience through new sports and bringing new sports to their audience. That combination is really exciting to us.” Locations of the races for the 2019 season have not yet been announced. Last season featured races in California, Las Vegas, Germany, France and more. 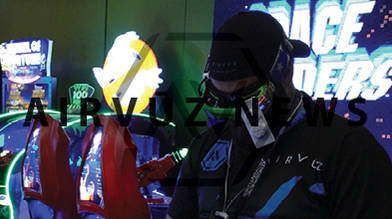 Team AirVuz pilot Paul Nurkkala, known on the Drone Racing League as nurkfpv, is the reigning DRL champion and will look to defend his title when the new season starts August 11th.